So today at PanPastels UK challenges you can enter whatever you are working on and show us your wonderful creations. 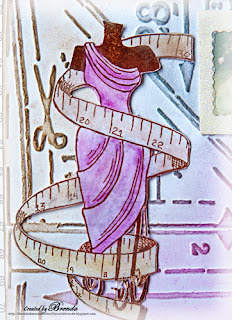 I have made a shabby sewing/dress card using a TH embossing folder and the B Line Cinderella stamp. 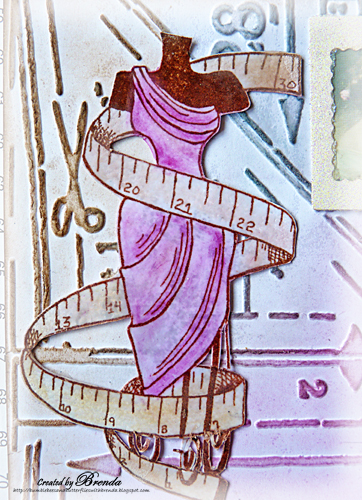 The embossed background was covered with PanPastels as is the image and both were then embossed with clear EP. The mini frame is covered with glamour dust and I made a shabby flower with the addition of PPs so is the tag. The backing paper is from my bits box. We look forward to you joining us over at the PanPastels UK challenge blog and when you enter you will be in with a chance of winning 3 digital images from LEJ Designs, which just happens to be Lindsay, one of the design team members. Thanks for stopping by today and thank you even more if you leave me a comment, I so appreciate it. So lovely as usual from you Brenda... Is the flower water colour paper ? 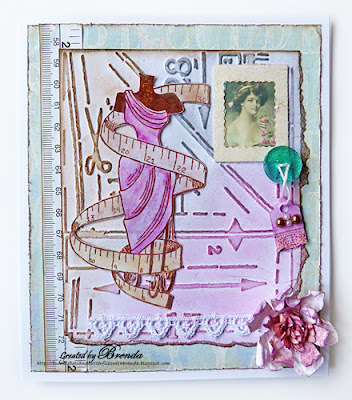 Oh wow Brenda - this is just fabulous .. i love the embossing folder .. must look out for that! Stunning creation, Brenda...you have used wonderful details...enjoy your Sunday! 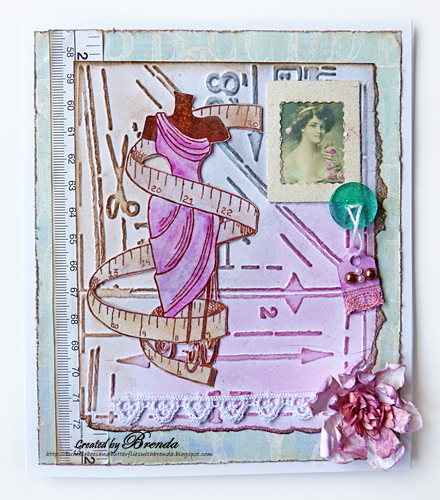 Love this Brenda, so feminine and shabby chic! Great image. That's a wonderful card, love the embossed background and the images. Another fab project from you. love that coloring on the dress--beautiful card! Wow, this is stunning Brenda! WOW this is stunning Brenda, absolutely love it. Such amazing colors from the PPs... love this very much on the embossing!